Vapebox Review - Daily Vaping Deals & The Best Vape Product Reviews at Vaping Cheap! Mystery boxes or monthly subscription boxes are incredibly popular and they’re offered in a wide range of industries. The reason why they’re so popular is, because people simply enjoy receiving something different every month to try out for a fraction of the cost. Today, we’re taking a look at VapeBox, who offers monthly subscription boxes and what makes them unique is the offering of not only ejuice in their boxes, but vape hardware as well! VapeBox is one of the most highly rated monthly subscription box services on the vape market today with raving reviews across the board. Before getting any further into this review, we’d like to thank VapeBox for sending this product our way for the purposes of this review! 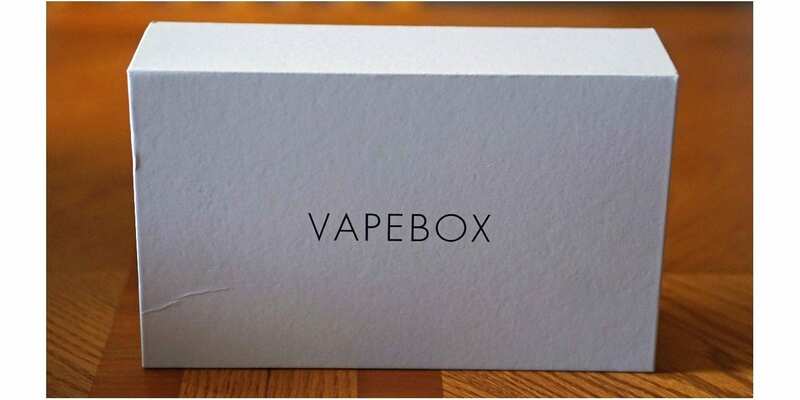 We’ll cover our first impressions, ease of signing up, type of boxes available, what was received in our box, pros and cons and conclude with whether or not we recommend VapeBox! Click Here to Check Out VapeBox! 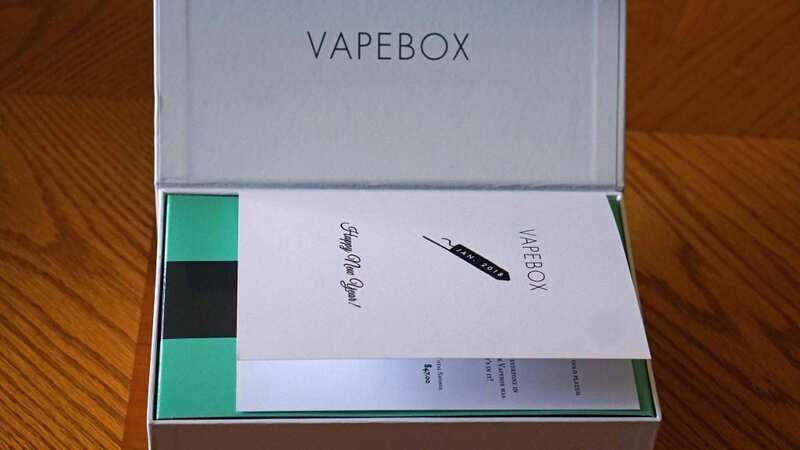 The VapeBox monthly subscription box comes in a simple white box that simply states “VAPEBOX” right on the front. I do like this simplistic look, and prefer it over something flashy. Of course, that’s subjective, but I did appreciate its classy looks. The specific box we got for review was the Enthusiast Box, which is their top of the line option. There are other options available, which we’ll cover later on in this vape review. The box is securely closed by a magnetic flap, but it’s easy to open. Once you open your VapeBox, you’re met with green covering that show their logo. Alongside this, you’ll receive your menu and it’s here that I was impressed. On the front page of the vape menu, it states the month of the enclosed subscription box alongside their logo. What’s nice about this one is that it was a New Years box, so they did write “Happy New Years!”. This is something small, but it’s the small details like this is what impresses us most. Once you look inside of the menu, it’s customized with your name as the top left corner and let’s you know once more which month. On the left side, there’s a menu of what ejuices are inside and they do offer small details about each vape juice such as the brand, name of the specific e-liquid, retail pricing, VG/PG Ratio, nicotine strength and bottle size. On the right side of the menu, it goes over what piece of hardware you received, a small custom note thanking you, and the total value of your box compared to what you paid. For example, the total value of my VapeBox was $107.00, which is nowhere near the actual cost of the subscription box. It also shows the amount saved with what’s enclosed in comparison to the retail value. In addition, they do state exactly how much e-liquid is inside, and mine was a total of 150ml. I do like how the menu is done overall, it’s easy to read, simple and short enough to quickly tell you all the information you need to know. Once you get through what’s inside initially, you’ll find that stringy gift paper covering what’s enclosed, so you have to search for what’s inside. I’m sure everyone loves this feeling, no matter what kind of subscription or mystery box you get. Everything inside was packaged neatly, and there were no leaking with any of the included e-juice bottles, which is always a good thing! All in all, my first impressions of VapeBox was great! I was really impressed with all of the small details they added to the packaging, which shows how much effort they put in before sending it out to you. Signing up for VapeBox is incredibly easy, and very straightforward. Once you’re on the homepage you can simply click on “assemble my box”, “subscribe” at the top or create an account and go from within your account to start customizing your options. Once you’re ready to sign up, you’ll first choose which box you want, which we’ll cover later. Afterwards, it’ll ask you whether you’re a beginner or not. This is a really good option to have, because there are vapers who are beginners and advanced users who would want to sign up. Letting them know which type of vaper you are is essential to the process in my opinion as this lets them know what kind of products to include within your VapeBox. After you choose this, you can now select what type of flavors that you like. There are various options such as Candy, Fruits, Cereal, Bakery, Creams, Yogurt, Custards and more. You can simply click on the specific flavor profiles you enjoy and continue on to the next option to customize. The next step is to select flavors you dislike, and there are a lot more options here. These flavors are very specific such as grapefruit, dragonfruit, nuts, cinnamon, and more. I like this a lot, because if there’s a specific flavor you don’t enjoy in an e-juice, this option ensures that you avoid these flavors you dislike. The step after this one is to select your preferred nicotine strength and you can choose from 0mg, 3mg, 6mg and 6mg+. You can’t select multiple, and this is something I think they should offer, as a vaper like myself vapes both direct lung and mouth to lung. One of the last steps is to choose devices you like such as Rebuildable atomizer, rebuildable tank atomizer or sub ohm tank. You can select all three if you like with this one. After this step, you’ll select your mod preferences and there are two options to click, which are regulated mod or mechanical mod. Like the previous step, you can select all of the options. The final step is to choose whether or not you like to discover new products. So, if there’s something you didn’t choose in one of the previous options as a preference, but open to trying it, this is the option that allows you do so. This is another great option to have and new vape ejuice or hardware that you didn’t think you’d like may turn into something you’d enjoy! Once you finish, you can then add it to your cart or update your profile for future monthly subscription boxes. The entire process is very easy, but pretty detailed as well, allowing you to really nail down ejuice flavors or hardware you’d want in your box. There are a total of 3 different subscription boxes that VapeBox offers starting at only $20. As mentioned earlier, this is the first step in the signup process. The first and cheapest option they offer is the Sampler Box. This box does cost $20 per month, and will include at least 60ml of e-liquid. Depending on how much e-liquid you get will determine the bottle size and how many bottles you do receive. This is a great option if you’re a vaper looking to only try a few new e-juices per month, but not looking to break the bank. The middle of the road subscription vapebox is the Juice Lovers Box. This one costs $32, but will include at least 90ml of e-liquid. 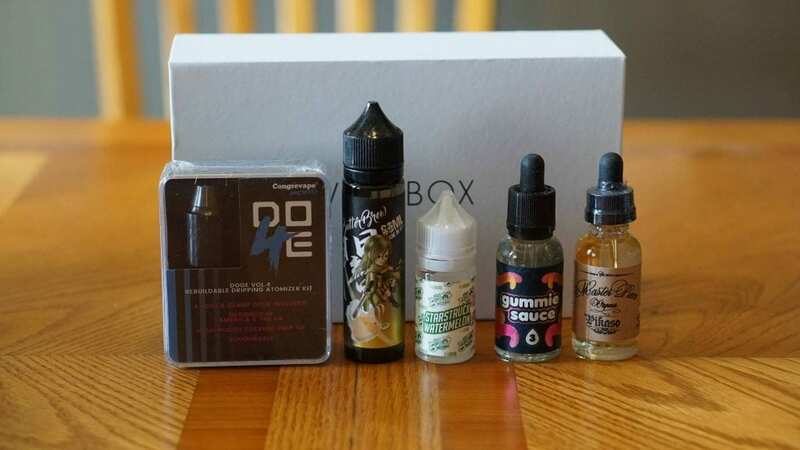 Like the Sampler Box, depending on how much total e-liquid you receive will determine how many different flavors you actually receive in your monthly box. This is a solid option for the vaper who’s either new to vaping and wants to try various flavors at once or a vaper who vapes a lot of e-liquid per month. The last and most expensive box they offer is the Enthusiast Box. Although this is the case, this specific VapeBox is also their most popular option and for good reason. This monthly subscription box will include at least 90ml of e-liquid and 1 to 2 pieces of vape hardware and/or accessory. Now, this is an excellent option for the vaper who’s either new to vaping and wants to try new hardware and juice at a fraction of the cost, or for the advanced vaper who likes to try out some of the latest hardware and vape juice. This specific box does cost $60, but I do think the price is fair considering what you get inside. As mentioned in the beginning of this review, we did receive the Enthusiast Box, which is the creme of the crop. Inside of our box, we did receive a total of 150ml (4 different flavors) and 1 RDA (rebuildable dripping atomizer). The four different flavors included were Butter Brew by Yami Vapor (60ml), Pikaso by Master Piece Vapour (30ml), Gummie Sauce by Liqfix (30ml) and Starstruk Watermelon by The Bubble Co. (30ml). All four of these flavors were in my preferred flavor profile, which were cream, custard and candy. To my surprise, I actually enjoyed each one of these flavors! My favorite was Gummie Sauce by Liqfix, and this is definitely an e-liquid I’ll continue to have in my rotation. Now, I will say that I’ve already tried Yami Vapor Butter Brew before, so it’s possible that you will receive something you’ve tried in the past. This isn’t necessarily a bad thing, but it’s something to mention. The included RDA was the VapeBox Edition Congrevape Doge V4 RDA. Congrevape is a pretty well known company in the vape industry, so it’s great to see them including products, both ejuice and hardware, of popular brands. I was surprised as well that the included RDA was a “VapeBox Edition”, which I thought was pretty cool. The total retail value of the products inside of the box was $107.00 and the amount this box costs is $60, so that’s a savings of $47.00. In addition, we received a total of 150ml, which is a lot more than 90ml. Overall, I was happy with what was included in my VapeBox. I thoroughly enjoyed each flavor inside, and was certainly satisfied with the performance of the included RDA. The first feature we think is great with VapeBox is how easy it is to sign up for a subscription box. In addition, the detailed options they offer allows you to be really specific in what you like and dislike with ejuice. Not to mention, you can determine which type of hardware is included in the Enthusiast Box. I think this is an important aspect with any subscription box service, as you don’t want to end up with a bunch of things you simply dislike. Another feature we like with VapeBox is the three different subscription options you have. In addition, all of them are priced well with the cheapest option at only $20, so you don’t have to break the bank to get new ejuice flavors every month. For those looking to go all out, the Enthusiast Box will definitely fit your needs! 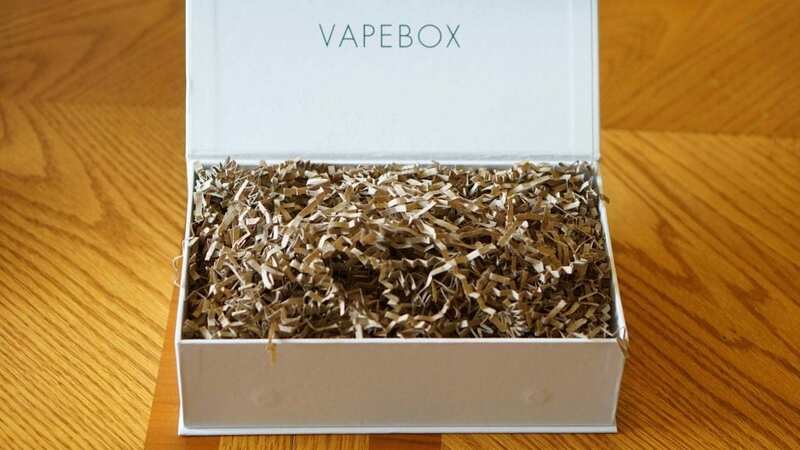 Something we didn’t touch on earlier in this review is how quickly we received our VapeBox. Literally within 2 days of being notified of shipment we received ours. This is very quick, and I was impressed by how fast we got it to our doorstep. Now, one thing with subscription services is getting unknown or low quality ejuice or hardware. Going by what was received, I must say that I was impressed with the quality of juice received. All of the flavors were great tasting and fit exactly what I was looking for. What’s even better is receiving an RDA from a well established vape brand, and having it be a “VapeBox Edition”. Something else we didn’t touch on before is that they do have a store. So, if you found an ejuice you like or want to stock up on, they’ll probably have it in their store. This is where you can purchase specific e-liquid, RDAs, Mods or Tanks. They do have hundreds of options available. In conclusion, VapeBox offers an excellent subscription box service with multiple options available to fit the needs of the vast majority of vapers. I can easily see why they have many fans as their monthly boxes are certainly one of a kind. From the actual presentation of your box to what’s included, we were really impressed. The value is definitely there with each box in our opinion, and it’s always great to try new products every month without paying too much. There was one con I found to VapeBox, and it was the fact you cannot choose multiple nicotine strengths for one box. Now, you can of course change your preference for the next box, but it would’ve been nice to be able to have various nicotine strengths in one. This is a niche though as not everyone vapes both mouth to lung and direct lung. Overall, I think VapeBox offers great boxes at solid prices. The value you get in each box is there, and with their top of the line Enthusiast Box, we were really impressed. If you’re the person who enjoys mystery boxes or subscription box services or simply looking to try new products each month at one low price, then we do highly recommend VapeBox. We don’t think you’ll be disappointed with their offerings, products, quality or service. We hope you enjoyed this review! Feel free to leave any questions or comments below! Thanks for reading!